Bringing Matt in to head up the organic marketing team was a real coup. With a vast amount of experience under his belt, Matt typifies our ethos of delivering excellent results. With a strong reputation in SEO circles, Matt has spoken at events such as BrightonSEO. Matt once brought his dog into the office. Since Penguin, SEO and PR have converged as link building becomes more reliant on genuine links from authoritative sites. With huge audiences to please, editors are understandably fussy about what they publish, so a solid digital PR strategy is vital if your press release is to stand out from the crowd. Naturally this is more difficult than traditional link building which, for Google, is the point. Editorially-given coverage > artificially-built links. We’ve had our own digital PR team in place for a while, building solid links from high-authority national and regional news sites. They also look at more relevant, industry-specific publications and high-profile media sites like The Huffington Post, Men’s Health and many more. 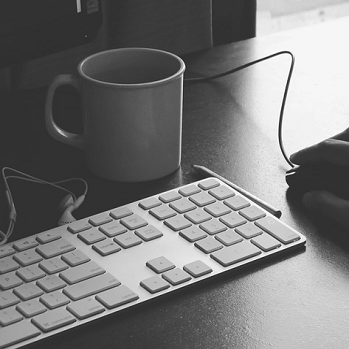 Here’s eight tips on building high-quality links in volume from our digital PR megastars. This is something we’re constantly told by SEO experts at conferences and in blog articles, but they never seem to go into detail. I’ve used a real-world example from a client of ours in the energy comparison industry who we’ve worked with for a while now to illustrate how a little persistence can pay off big-time. When we started working with this client, we worried that we may be entering a difficult niche. However, we were lucky that they had a very media-friendly MD who could speak in depth about the energy market and after a few successful press releases, journalists started to come to us for his comments for their stories as they wrote about the latest developments. What’s more, they were happy to link to us because we were doing them a favour by helping them fill digital column inches. This seems like common sense, but not every site includes links. Many have editorial policies that may seem to go against everything the web stands for, but are set in stone nonetheless. Some will add links with the rel=”nofollow” attribute which is slightly better, but not ideal if you’re looking for a direct SEO benefit. This infuriates SEOs and was the subject of a recent rant by Steve Morgan on State of Digital, but as unfounded as it may be, these sites usually stick to their guns. In light of the level of scaremongering over Google’s link-based penalties and misinformation about the flow of PageRank, it’s often difficult to convince someone to link to you. 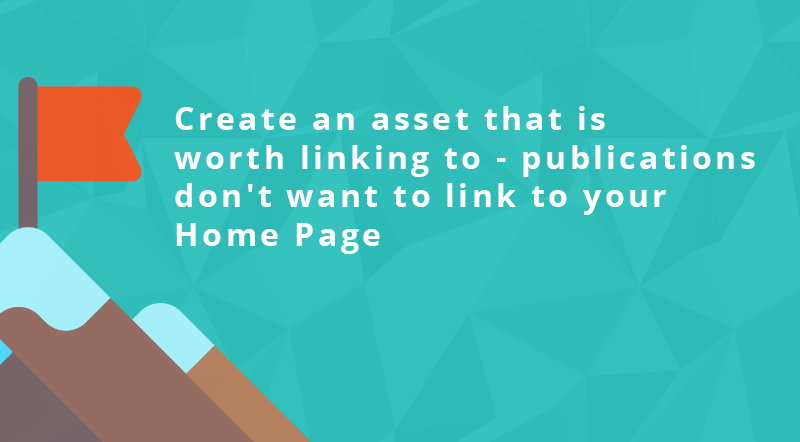 If it’s links you’re after and the indirect benefits of brand awareness don’t appeal, get to know which of your targets do and don’t link in their articles. Alternatively, take matters into your own hands and expand further on your press release in a more in-depth content asset on your own site. This won’t help build SEO-friendly links from the no-followers, but we’ve noticed many trade publications in particular won’t add a link at all to a client’s site if it’s just to credit them for the information provided. What they will link to is the full data used to populate the press release, or a resource that expands on the information provided. For example, if our client has commissioned some research in the form of a survey, we’ll always publish the full data on the client’s blog and link to it from the press release. This way, if the publisher wants to legitimise their coverage of the story by pointing their readers to the original research, they have to link to our client. Bonus tip: make sure the post uses internal linking via a visible call-to-action to encourage the visitor through to the revenue-driving areas of the site. This will maximise the conversion potential of the referral traffic from this link (not to mention helping SEO for the page you’re trying to funnel users to). Your press release instantly becomes more authoritative if there are multiple contributors backing up your story. As well as including your client’s expertise on the topic you’re discussing, try to contact a government body for a quote, or a relevant charity. 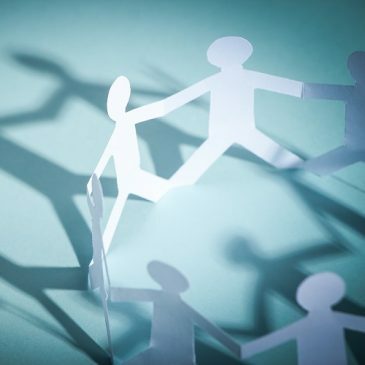 There are a few services out there that can help you source contributors. Our team regularly use Response Source to appeal for expert comment on our stories and we’ve had great success using this tool. For example, we recently created a piece for interior design publications on the use of colour in bathroom design. We asked for input from designers and received a response from the experts at DYLON, whose opinion naturally lent a lot of weight to our press release. 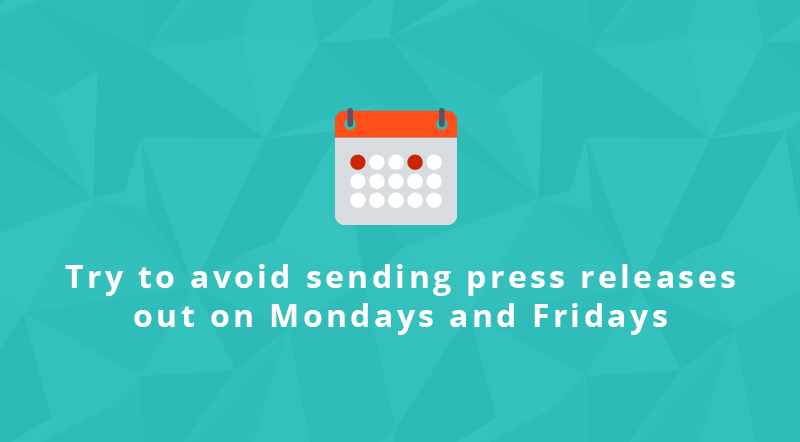 Our team avoid sending press releases on Mondays & Fridays where at all possible. We find that we get the best response rates in the middle of the week and the reasons for this are grounded in common sense. On Mondays journalists are getting back into work and planning their week. They have to deal with a crowded inbox from everything they’ve received over the weekend, and we’d much rather not get lost in that shuffle. Add to this the amount of pitching meetings they have to attend and maybe a touch of the Monday blues, and they’re rarely in the mood to entertain yet another pitch email. By the time Friday rolls around it’s too late, as they’re busy tying things up rather than starting new projects. We often find that we receive out of office responses to Friday pitches (journalists go on long weekends too! ), which makes them even less likely to come back to us however strong the content is. We aim for Tuesday mornings to hit the real sweet spot for response rates. Link reclamation is a big thing for us – around 10% of the links we build are a result of brand mentions that we find online thanks to Moz’s Fresh Web Alerts. We get in touch with the publisher, thank them for mentioning our client and ask them to add a link. Most of the time they’re happy to do so, editorial guidelines permitting. However, rather than the link being the end goal, this is often just the start of the relationship. If we like the publication we let them know what we’re working on and ask whether they might like to see the content when it’s ready, or even contribute an opinion or advice on which angle to take. Getting the journalist’s input at this stage means they’re bought in and more likely to publish our content and link to us when the final release is ready to go. If you have big-hitters on your list, stroke their ego. Even a 24-hour ‘primary exclusive’ is enticing to big publications like The Daily Mail. After this you can send the release to your entire distribution list, with a ‘vanity’ link secured that will look fantastic on client reports. Personalisation of these emails goes without saying – prioritise your targets so any automated emails go to those lower down your list of desired publishers. Make sure you leave time to send nudge emails and then ring around – this shows you’re not just spamming everyone you can think of and that you really value the time of your outreach targets. This is even useful for a negative response – if this release isn’t for them, ask what they’re working on, think of other clients’ campaigns that they might be interested in and let them know in advance about future releases. Real conversations with journalists are invaluable so never waste an opportunity. 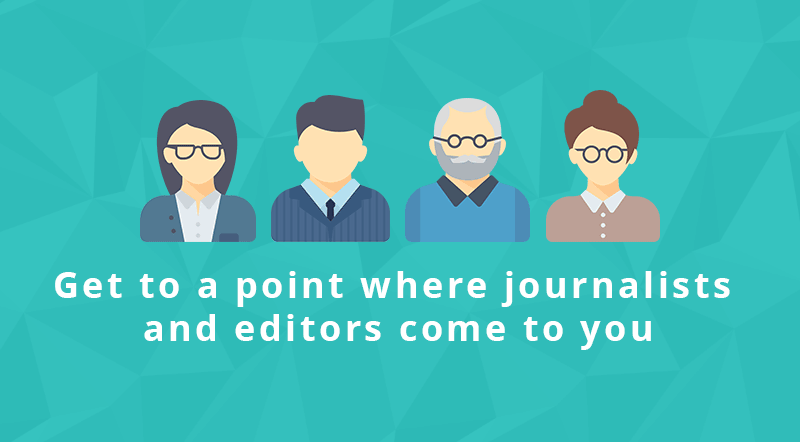 The dynamic between digital PRs and journalists/editors has always been intriguing, and it’s a relationship that continues to take on even greater significance. 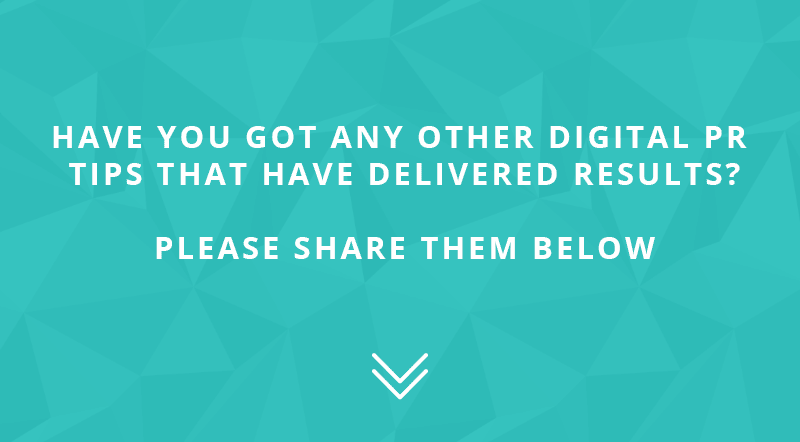 On their own, strong digital PR campaigns can help to increase awareness of your brand online. However, by using the aforementioned eight tips to build up a rapport with those who have creative control over your target publications, you’re far more likely to get links, which will give your wider SEO efforts a real shot in the arm.